Phi Phi Island has several professional dive centers to walk you through your first try dive all the way up to Instructor if you like. You can also pre-reserve your place on any of these dive courses (as well as fun dives) online with Phi Phi Scuba here. There are several diveshops on Phi Phi Island with highly qualified and experienced staff to walk you through your first try dive all the way up to Instructor. 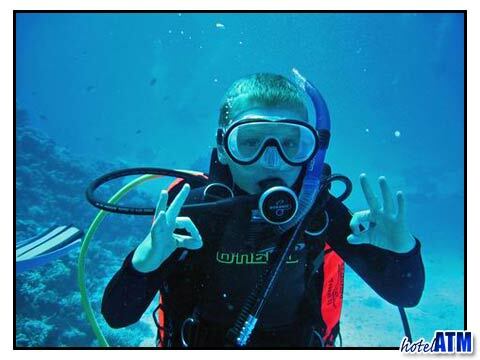 Although the most popular courses are Open Water and Advanced Diver Courses. 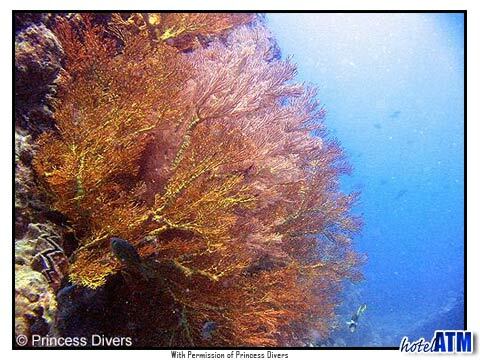 As Phi Phi provides the ideal settings and conditions to take the plunge and experience SCUBA for the very first time. Most of the dive centers on Phi Phi also offer courses in your own native language. Perfect for total beginners and a fun, safe way to take those first breaths under-water. Teaching only the very basic dive theory, Dive skills and Dive Safety. The course takes just two hours, starting you off in the safety of a swimming pool and then progress onto a local dive site. Dives are made to a maximum depth of twelve meters with one instructor for every two divers ensuring maximum safety and enjoyment. Recommended for those who are short on time. Basic dive theory and basic shallow water scuba skills are practiced until proficient, then two open water training dives to 12 meters. Candidates then receive an entry level certification card which allows them to dive but only under the direct supervision of a dive professional. This entry level course can also be used towards an Open Water Diver Certification. Undoubtedly the most famous diving certification the 'Open-Water' course is designed to teach you how to plan and conduct dives safely. Courses lengths are between 3 and 4 days however if you plan to do the course in 3 days it’s advised that you have already read the theory (see PADI eLearning). The Open Water course consists of a mixture of classroom based theory covering topics like Dive Equipment, Dive Planning, Dive Safety Procedures and practical dive skills essential for every diver. Confined Water Training (swimming pool / shallow, calm water) and finally the last two days are Open Water Dives where you’ll have two dives a day. Your Open Water Certification is valid for lifetime and is recognised anywhere in the world. It’s also the ultimate souvenir as you’ll never forget where you learnt to dive! The Advanced course is the recommended and most logical step from the 'Open Water' level. More of an extended dive experience than a course, with more emphasis on skills relating to a particular area of diving. You can choose three dives that interest you the most, plus the compulsory dives Deep and Navigation. Usually done over two days with 5 dives the Advanced certification allows you to dive to depths of up to thirty meters. Essential if you are also thinking of taking a dive trip to the Similan Islands. Tip: One of the most useful dives to pick is the Peak Performance Buoyancy dive as you’ll benefit from mastery of this skill on every dive you’ll ever do! If you’re short on time you could also opt for the PADI ADVENTURE DIVER, basically is the same as doing just three (instead of 5) dives from the advanced open water course. Usually this can be done in one day if time is a problem. There’s a lot of choice when selecting your three optional choices for your advanced course and the choice is entirely up to you. But Peak Performance Buoyancy and Multi Level and Computer dives are something you will use on every dive you will ever do. The advanced courses provides the opportunity of instruction and practice of these essentials under the direct supervision of a dive professional and as with the Open Water training opened the door to a underwater world the Advanced course will show you the skills and confidence to make the most of it safely. The wreck dive is also included as there’s a fantastic Wreck King Cruiser just a short distance from Phi Phi Island, making the perfect opportunity to make your first wreck dive under the close instruction of your Dive Instructor. What’s after Advanced Open Water? There’s a whole host of specialty courses which are worth looking into depending on your interests and then of course you could continue on to become a Rescue Diver. Up until this point almost everything you have been taught is based on making you a self proficient diver, teaching you how to plan your own dives, check your own equipment (and your buddy too) as well as the right things to do if you find yourself in a tricky situation. The Rescue Diver course is designed to prepare you for when someone else is in trouble. Unfortunately many recreational divers don’t continue to this level because they don’t see how it will directly benefit them or maybe it’s just down to personality. Either way the Rescue Divers make up the top 5% of the recreational diving community. The PADI RESCUE DIVER course is for certified 'Advanced Open Water' divers, and the SSI STRESS AND RESCUE DIVER is for Open Water Divers and above. Both provide increased awareness in the scuba environment, theory, techniques, skills, searches and management in the event of a dive related problem. Prior to certification candidates must show proof of CPR (Cardio and Pulmonary Resuscitation ) and first aid training within the last two years. For those that do not have this training then you can also take an EFR courses (Emergency First Responder) which can be done either before, during or after the Rescue Diver course. The EFR course is a non diving certification which provides invaluable training for use anywhere, at home, work or in the street as well as diving.